If anyone breaks out the treats before Halloween, instruct them not to share with the family pet regardless of how much he stares at them with sad eyes. Chocolate is especially problematic for pets because it can cause diarrhea,\ vomiting, and other symptoms associated with gastric distress. The artificial sweetener Xylitol may cause similar problems. If you really want to give your pet a treat, order something especially created for pets from our online store. the event. Also remember that your pet might chew on the costume and end up swallowing a piece of it. 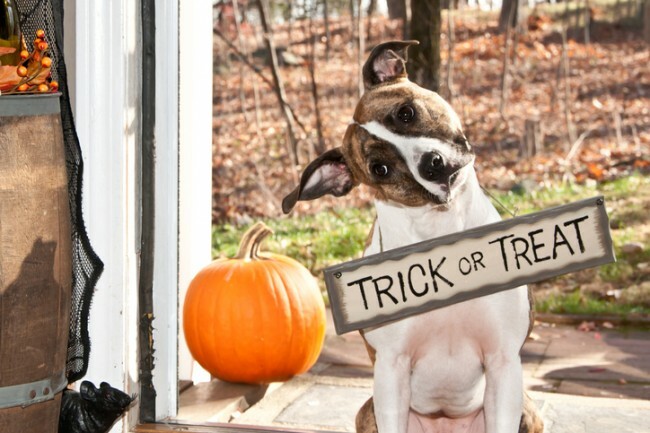 A close eye on your pet’s environment is definitely a “must” for Halloween. Should you experience an emergency with your pet, call us at 508-675-6374. If it is after hours, you’ll be directed for the appropriate number to call. Happy Halloween from the staff of Fall River Animal Hospital!